Did you notice moisture in your wall? Is your paint chipping off? By the time you realize you might need a new roof or your current roof to be repaired it might be too late. One small leak could mean many different problems. Which factors really determine whether a roof repair will solve the problem or the house needs a roof replacement? Do you know how old your roof is? When was the last time your roof was looked and examined? Generally speaking most roofs are made to last between 20 and 25 years. There are a few factors that go into it such as roofing materials, shingles, and roof ventilation. For example, if your roof was installed over another layer or several layers and it is older than 20 years, chances are you may need a new roof. If your roof is made with shingles, they may be curling and buckling. This is another sign that you need a new roof. If you can see that your shingles are curling up or look like they are missing granules, it may mean that your shingles are past their life expectancy. In the worst case scenario your roof could be defective. If this is the case you need to contact a licensed roofing contractor to get a custom quote or you can get a good idea from a new roof cost estimator. If your roof shingles are missing, falling apart, or flaking, you can be almost sure you need a new roof. Roof Valleys are one of the most important areas of your roof. Harsh weather can put a damper on your roof valley since snow and rain flow through valleys and into gutters. If your roof valley is compromised, you could be susceptible to roof leaks. If you can see inside your gutters and see shingle granule particles, it’s not a good sign. It’s a common sign that your shingles are in bad shape and need to be replaced. If you can’t look in your gutters hire a contractor to check your roof and gutters for you. 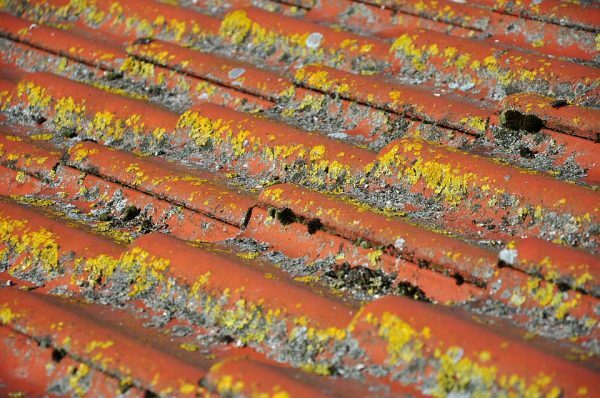 If your shingle color is inconsistent or darker color on some parts of the roof, it’s another sign the granules have worn away and need replacing. If you can see daylight through your roof boards, you may be in deep trouble. If you went on your roof and noticed it felt dense and bouncy, it could mean that you have roof rot. You do not want the underlying decking of your roof to be weakened as this is a sign you could have moisture damage. If your attic is easily accessible be sure to check it for water damage as well. See if there is any light coming through the beams in your attic.